Add a little bit of flash to your favorite ElaZtech softbaits with the new TRD SpinZ tail spinners. Featuring a stainless centering pin, the TRD SpinZ can be easily inserted into the 10X Tough ElaZtech material and locks securely in place thanks to the molded plastic dual-prong keeper. 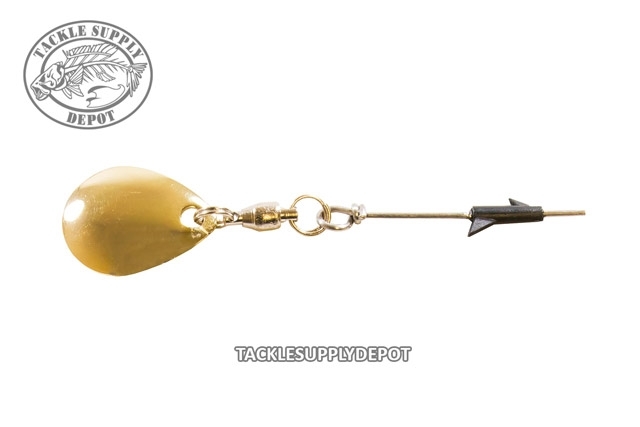 Adding the TRD SpinZ to the back of a standard Finesse TRD Ned Rig creates a unique finesse rig that can be cast and retrieved, making an excellent search bait for a variety of species. Many pros will also utilize the TRD SpinZ to dress up Texas-rigged ZinkerZ or to add to the bottom of ElaZtech swimbaits like the DieZel MinnowZ to instantly create a unique underspin style presentation.